If you are like me, you don’t need more reasons to drink craft beer. You already appreciate its smooth, frothy goodness; its robust and diverse flavour variety; and, its extensive list of health benefits. If you are like me, you spend a good deal of browsing time in the craft singles section of the beer store and are game to try new styles and flavours. You might be lured by interesting label art, a cool story about the microbrewery’s roots, or a fascinating list of ingredients (cardamom? really?). Most importantly, you approach craft beer drinking like the indulgence of any wonderful food—as part of your overall diverse and healthy refreshment selection, with passion and curiosity, and in moderation. Craft beer is made in smaller batches and each is made unique by a vast range of flavours ranging from citrus and spice to coffee and chocolate. According to the Brewers’ Association of Canada, a craft or microbrewer produces less than 250,000 hectolitres of beer each year—a hectolitre equals two kegs or 12 24-packs. When you check the numbers, Canadians are drinking less but higher quality beer overall. Though we enjoyed more than 22 million hectolitres in 2014, general consumption was down six per cent between 2014 and 2015, says Beer Canada. But, in BC craft beer sales were up 38 per cent and craft beer sales have tripled on Ontario since 2002, remaining on a steady 10 per cent annual growth trajectory. At the moment, Newfoundland tops the per capita consumption rate at around 78 litres per person annualy. At the same time, sales by large domestic breweries have flattened. As of 2015, 640 licensed breweries were creating bubbly goodness in Canada, representing a 108 per cent increase since 2010. Just look at the ingredients. 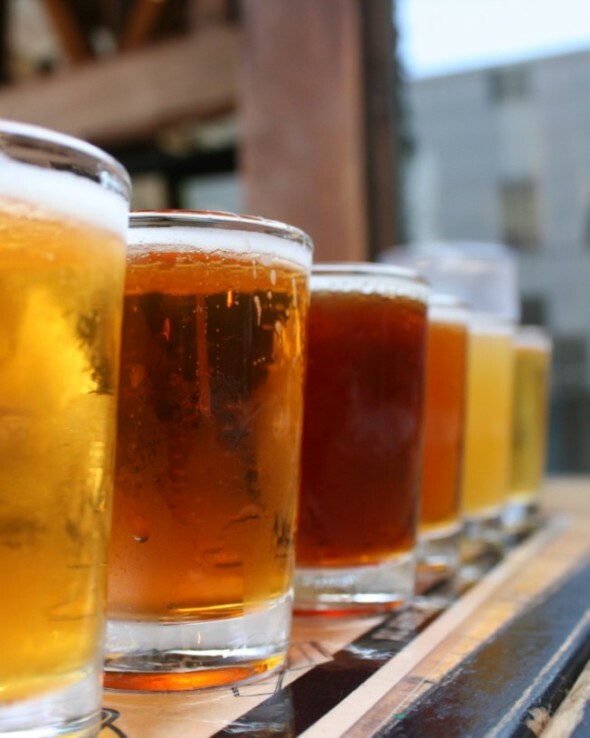 Most beer takes just four standard items: water, grain, hops, and yeast. There is a good chance your friendly neighbourhood micro brewer is sourcing these locally or as close to home as possible, and there is virtually no chance he or she won’t have a unique angle to his or her process, or answer all your questions about what makes the product healthier than the large scale alternative. Most importantly, let’s consider what is not going into microbrews: corn syrup, propylene glycol alginate, caramel colouring, a host of synthetic preservatives. Health benefits. Although wine often gets all the attention for being a “one a day keeps the doctor away” kind of refreshment, beer is no slouch either when it comes to health benefits. Roughly 84 different studies attest to the health benefits of craft beer including decreased risk of hypertension, cardiovascular disease, heart disease, arthritic conditions, diabetes, Alzheimer’s, poor cognitive functioning, osteoporosis, and weight gain. Beer has a high B12 and protein content, compared with wine, and hops contain xanthohumol, which has been known to have important anti-cancer effects in the liver and colon. The key, of course, is moderation and an otherwise healthy lifestyle, so don’t throw down those veggies for an all-hops diet just yet. Get local. 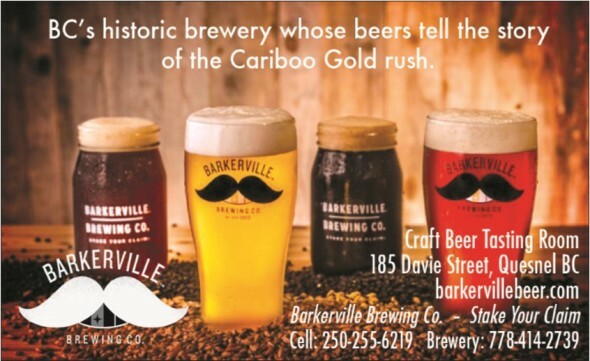 With nearly 700 options in Canada, it is hard to get in the car and drive very far without running into a microbrewery. This, of course, means craft beers are fresh, include premium ingredients, and are fuelled by mad passion. Drinking craft beer means supporting local business and your local economy, and most craft brewers will invite you in, show you the ropes, and answer questions, time providing. How great is that? Sustainability rules. The Canadian beer industry has an excellent environmental record, with a 99 per cent return rate on recyclables. Because craft brewers are small businesses they are in control of their operations and recognize the ethical and financial benefits of sustainable practices. Most small brewers find something useful to do with their by products, from composting to giving spent grain to farmers, invest in equipment or practices that reduce resource consumption and energy use, and offer growler or keg refills to reduce packaging. Know your beer. Big brewing companies can be sneaky, being vague about where they are produced, marketing irrelevant features like temperature, and claiming “craft” brands that are simply a separate brand marketed independent from the giant mother company. Craft brewers wear their hearts on their sleeves—and their stories on their bottles. If you wish to know exactly where your brew comes from, what is in it, and why its maker took the path to frothy goodness to begin with, go with a craft brew. Beautiful beginnings. There are so many types, flavours, tastes, combinations, and possibilities, craft beer is an art and a hobby on its own. For one thing, there is much to talk about. Craft beer tastings complete with thoughtful food pairings are a wonderful way to bring people together. How many macro brews can inspire conversation about the flavours and undertones, or even the label art? Beer and cheese pair well together, and a little internet research can drum up some amazing beer and cheese tasting party ideas—we host one twice a year on the summer and winter solstices. This is really only the beginning. If you’re like me, you’ll know seasonal flavours like pumpkin and Christmas spice, the adventure of trying unusual flavours like kelp, hazelnut, and lunar meteorite dust, and the joy of bringing friends together to sample these delights are enough to inspire many years of happy, passionate craft beer tasting. Enjoy and indulge in the adventure!